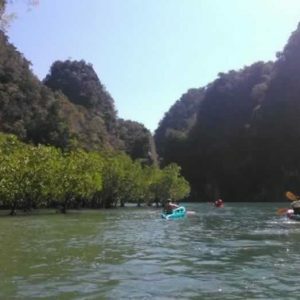 Krabi Hong Island Tour – Koh Hong is one of the most beautiful islands close to Ao Nang where you can snorkel with tropical fish, swim in warm water and sunbathe on a powder sand beach. 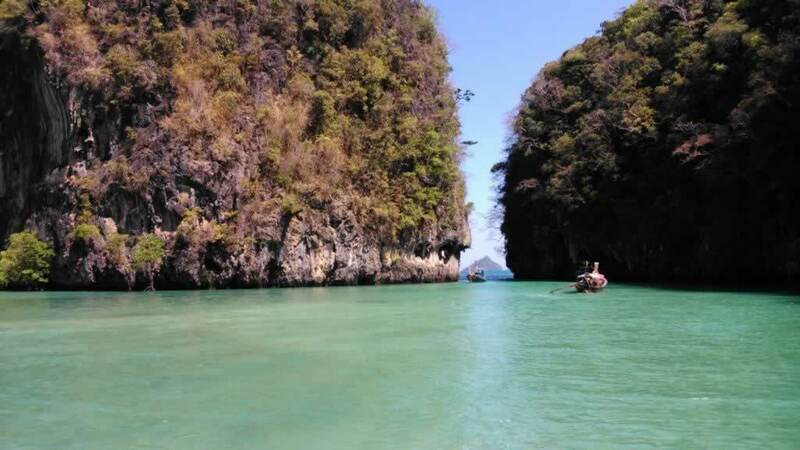 This relaxed tour takes you by speedboat, which also visits Koh Pakbia Island. Mask & snorkel, life jacket. Lunch, fruit snacks & drinking water. Experienced Tour guide & tour accident insurance. Speedboat Transfers. 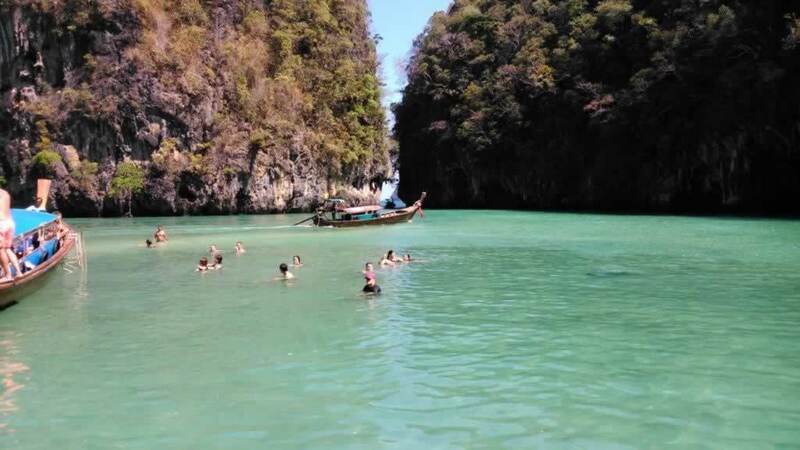 & Round trip Krabi area hotel transfers. 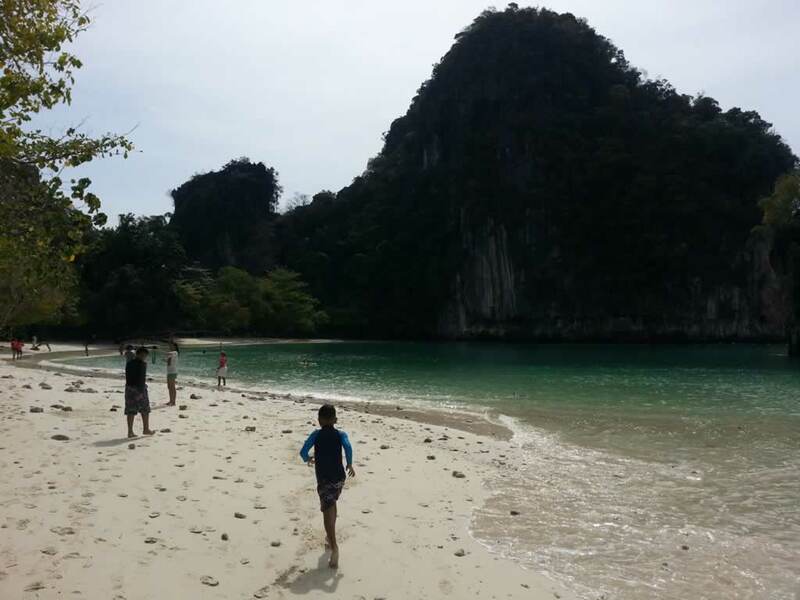 National Park Fees are payable in cash on the day of your Koh Hong Island Tour. Fees currently THB 300 per adult & THB 100 per child. 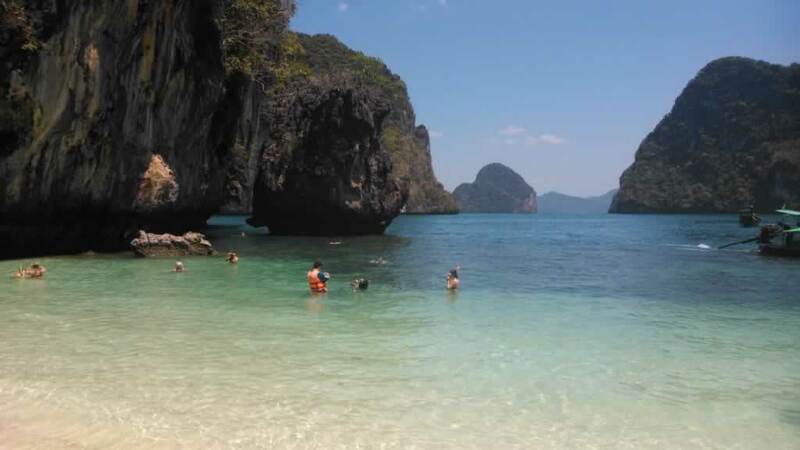 08:30 – Pick up from your hotel in Krabi town or Ao Nang beach and transfer to the pier. 09:00 – Transfer by Speedboat to Hong Islands. You will pass by the Royal Palace and the famous Klong Muang beach. 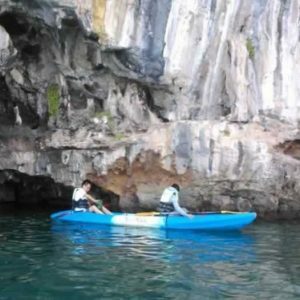 Once arrive at Hong Island sightseeing at Hong Island’s lagoon inside the island with it’s towering limestone cliffs surrounding it. 12:00 – Lunch at the Hong Island National Park headquarters. 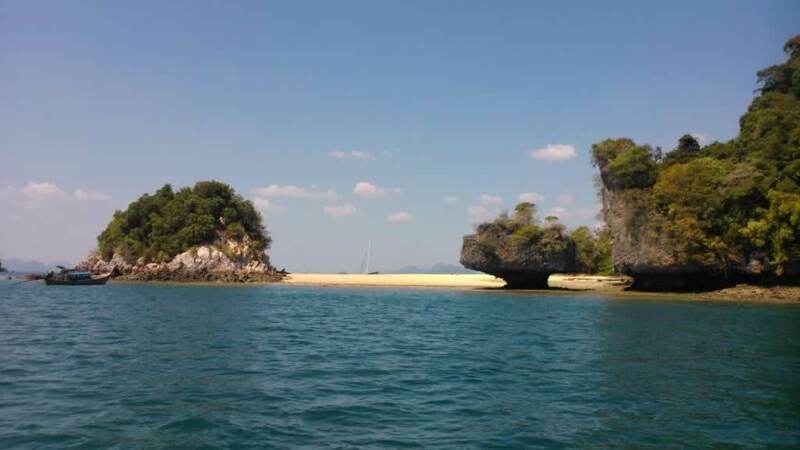 12:00 – Time to enjoy the beach at Hong Island with its white powdery sand and clear waters perfect for swimming. 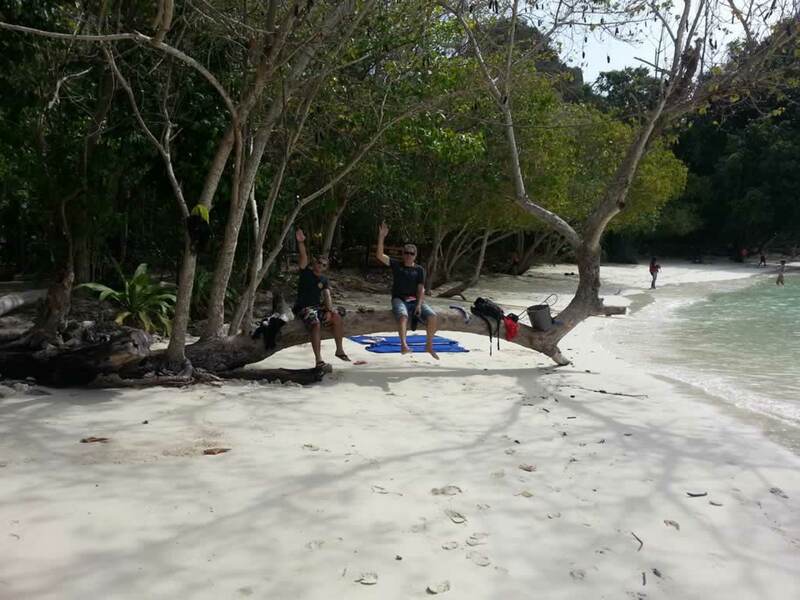 13:30 – Time to Visit Pak Bia Island, an unspoiled Paradise Island which perfect for swimming and sunbathing. 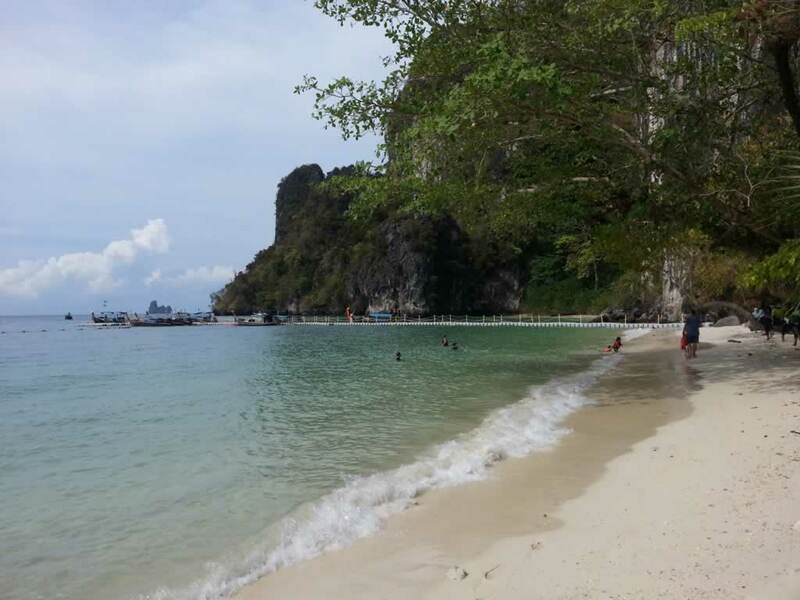 15:00 – Return to the pier in Ao Nang and transfer to your Krabi hotel. Please don't forget the Country Code! Once you submitted the form you will receive an email confirming we received your request. Please Check your Inbox. Images collection of pictures taken on Krabi Hong Island trips. If you joined the Krabi Hong Island Tour and like to see some of your images on our website please send a copy to us. We always happy for feedback from our guests. 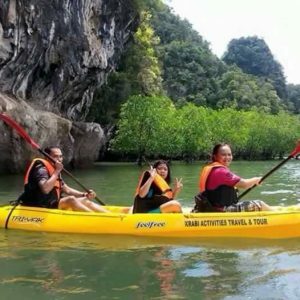 More fun loaded tours and activities you should not miss while enjoying a holiday in Krabi, Thailand. We are Here to Answer Your Questions Regarding any Thailand Tours or Activities? Drop us a a few lines and ask. 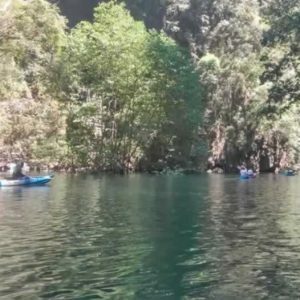 Find out what Guest at Easy Day Thailand Tours have to say. The 'Voucher Info' section details which type of voucher apply specifically for tour / activity you booked. The local operator requires you to present a printed copy of this voucher on the day of your tour or activity. You may be refused entry if you do not present a printed copy of your voucher. In case you not able to print please inform us and we can send a fax Copy to your hotel. IN this case please provide fax number of your hotel and room number. The local operator accepts both printed & e-vouchers. If you travel with a mobile device, simply show your Photo ID and present your e-voucher on your Smartphone or tablet on the day of your tour / activity. Paper or electronic voucher for this activity are not needed. You can simply present the Lead Traveler's Photo ID. Our local operator has your reservation on file and only requires proof of identity.